Four nice, sunny days in a row? Spring must, at very long last, be here! We hosted two of them in our pool just a couple of weeks ago. They stop by to swim in the lovely water on top of the pool cover, as a respite on their way north. My husband has needed to mow the lawn TWICE now! Which means we can start preparing our outdoor areas for warm weather enjoyment! That's right! You guessed it! Our Scavenger Hunt is headed for Cymax's everypatiofurniture.com to scavenge for fantastic Patio Furniture sales! We entertain very often in the summer. I could probably count on my fingers the number of days my children didn't have guests over, enjoying the pool. While I do have a number of pool side chairs and lounges, my outdoor dining set leaves much to be desired. Too small and too lightweight, I really need to find something more practical for our needs. 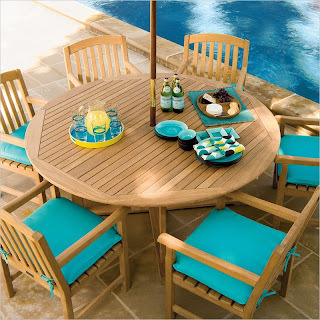 Fortunately, everypatiofurniture.com has an expansive selection of Outdoor Patio Tables to choose from! I love the look of this set from Oxford Gardens. On sale 20% off and free shipping to boot! Further, Oxford Gardens offers you the option of selecting our seat cushion fabric and with 12 options, there's certain to be a color or design to suit. You'll also appreciate being able to select from three different umbrella colors for this set! For our larger groups, however, we might be better served with a larger set, like this sharp Polywood Nautical Signature 8 seat ensemble. Shoppers can select from a variety of finishes: black, teak, green, mahogony, sand and white to create just the look you desire. Polywood Nautical pieces are created from plastic milk jugs which are transformed into plastic lumber, making Polywood Nautical and eco-friendly choice you can feel good about purchasing! 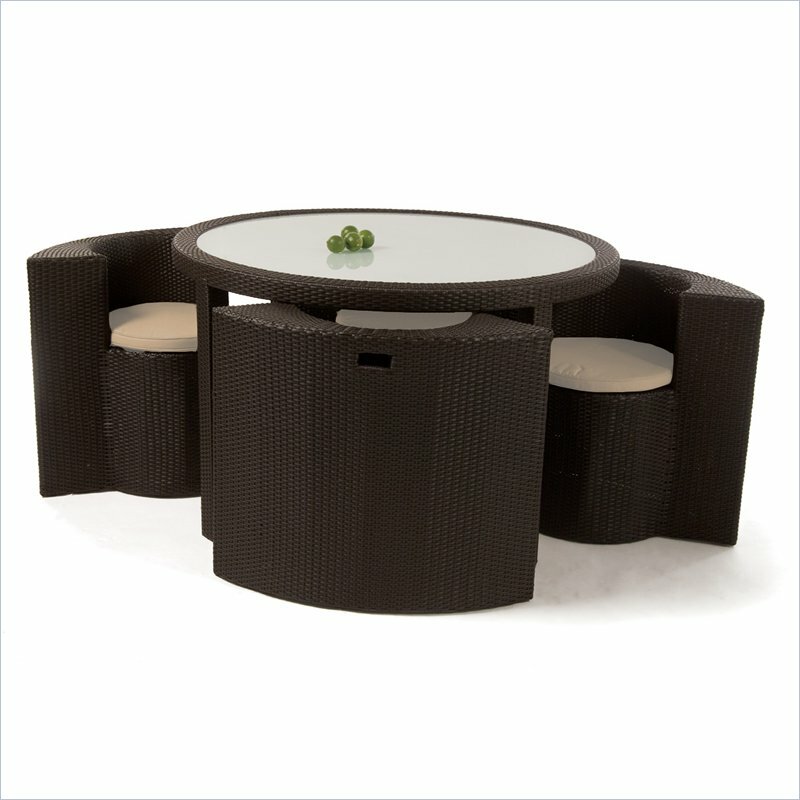 or an elegant dining group, everypatiofurniture.com has a look you'll love to add to your outdoor entertaining collection! Do you have any outdoor living decorating plans this year? Maybe you came up with something fabulous last year? Tell me; I'd love to hear about it! Please also tell me which set at everypatiofurniture.com you'd love to add to your outdoor living area in a comment below! Thank you to Cymax for sponsoring this introduction. The opinions above are both honest and my own. The Scavenger Hunt Giveaway is sponsored by CymaxStores.com and That's What She Said Duck Image. Grass Image. We do a lot of outdoor entertaining in the summer time. We have a two tiered deck that leads onto a cobblestone square area. This year, we are in the process of starting to build a place where we can sit around a fire and roast marshmallows. The heat will be great on cool nights. We are going to buy an iron outdoor fire stove and surround it with logs that have been flattened on the sides for sitting. It will be really nice when it is done. Every year, we try to find something different to add to our outdoor decor. 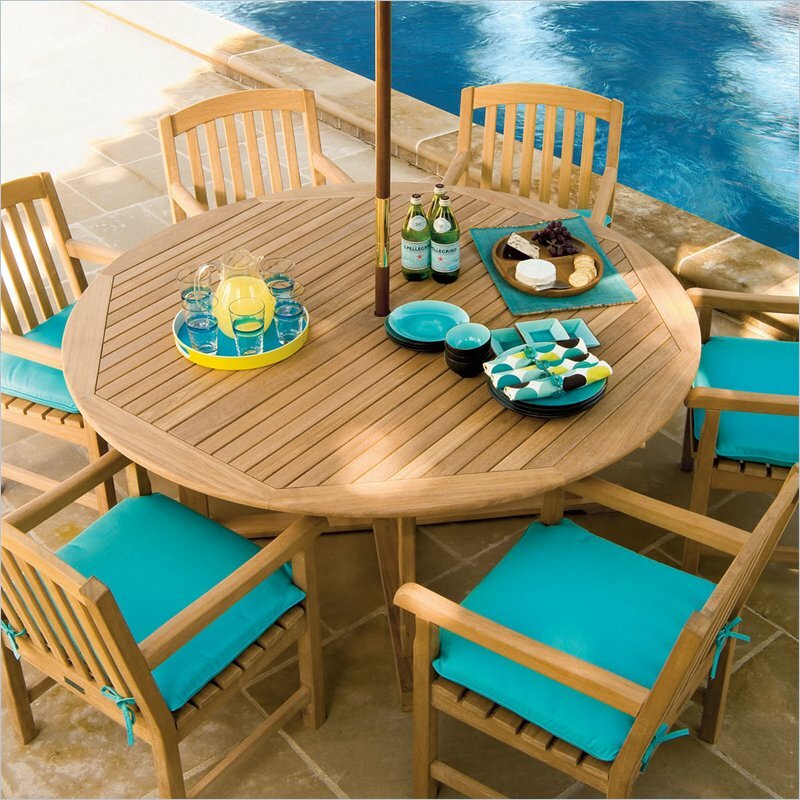 At the Cymax website, my favourite outdoor table set is the Eagle One Products Monterey 6 Ft Outdoor Dining Table. My favorite at the Cymax website is the International Home Miami Amalfi Sunbed Set 3 piece. 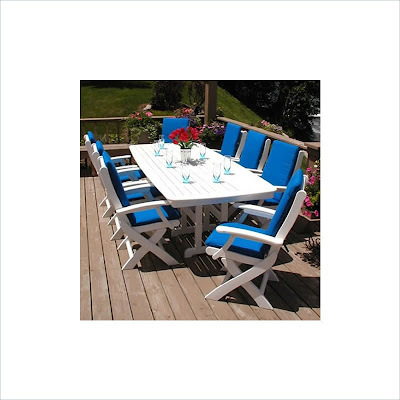 I am actually looking for a new patio set this year, and Vifah Vista 7 Piece Dining Set with 6 Armchairs is a piece after my own heart! We don't entertain often but we do love spending time in the yard... we usually wind up sitting on folding chairs because we don't have a patio set yet! I'd love to have the Best Sebastian Cast Aluminum Dining Set in Antique Copper. So pretty!